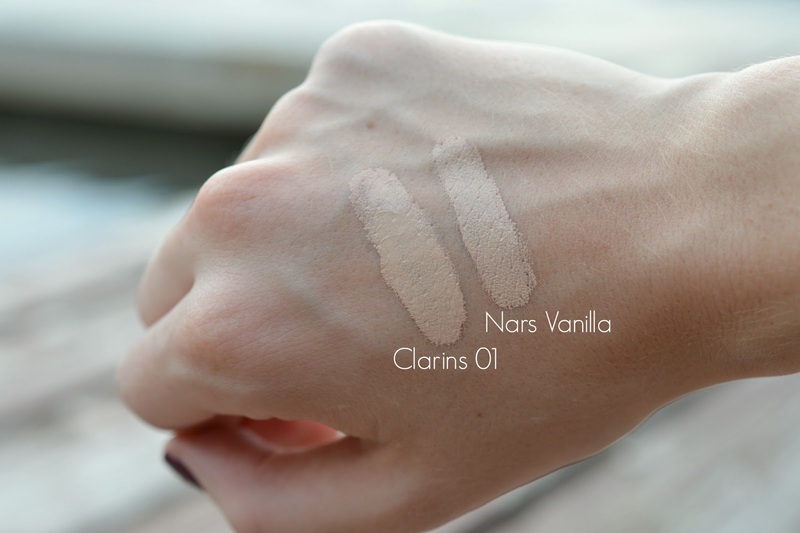 As you can see, the Clarins concealer is thinner in consistency and slightly more moisturizing, but they are both equally as pigmented. 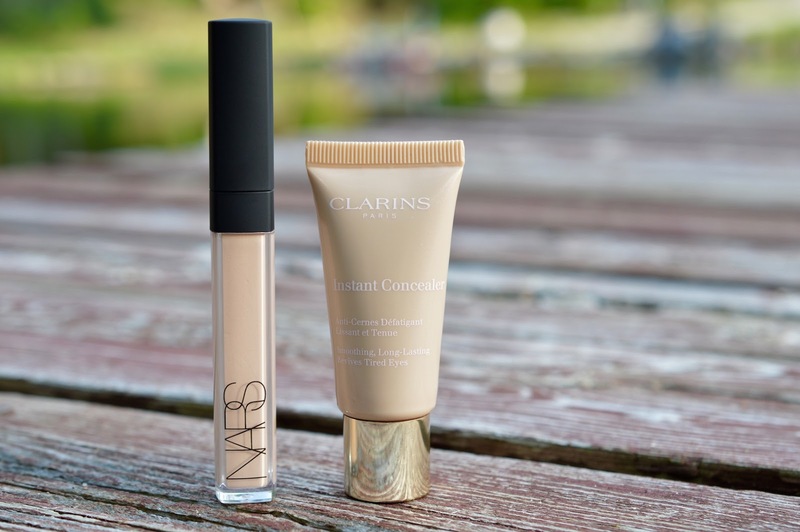 Clarins Instant Concealer is marketed for use under the eyes, since it contains light reflective particles which work to brighten and hide any darkness. The beautiful satin finish of this concealer makes it ideal to even apply all over the face. In my travel makeup bag, the only foundation/concealer you'll find is this little tube. I'll apply the concealer on targeted areas of my face, and then set it with my Laura Mercier Pressed Mineral Powder in Real Sand. The combination is so easy and flawless, I might have to start using them together on a daily basis. 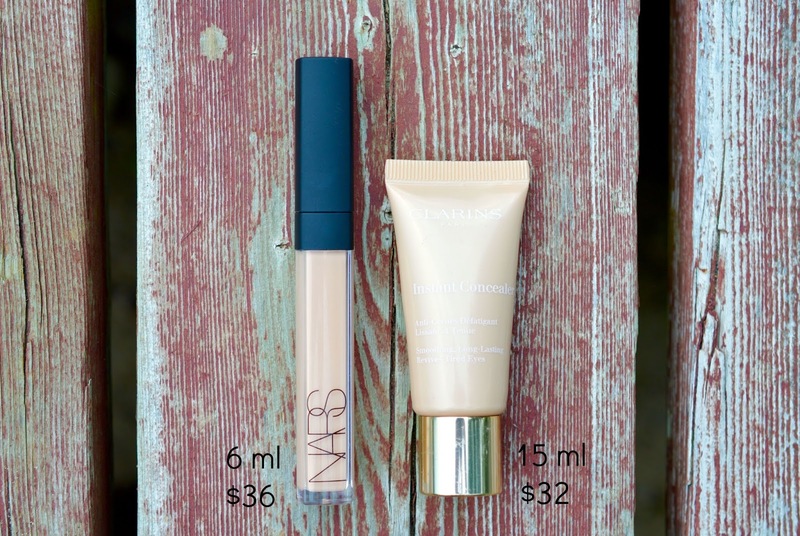 As for the Nars Creamy Concealer, it also works very well both under the eyes and all over the face. The wand applicator is convenient, and a little goes a long way. I always keep this particular tube in my handbag for touch-ups. After much deliberation, I've decided that this concealer is a bit too pinky-grey for my complexion. It isn't very brightening, and I definitely find that it starts to cake up if I apply too much. I could try a different shade, but I just don't think that it's worth it. 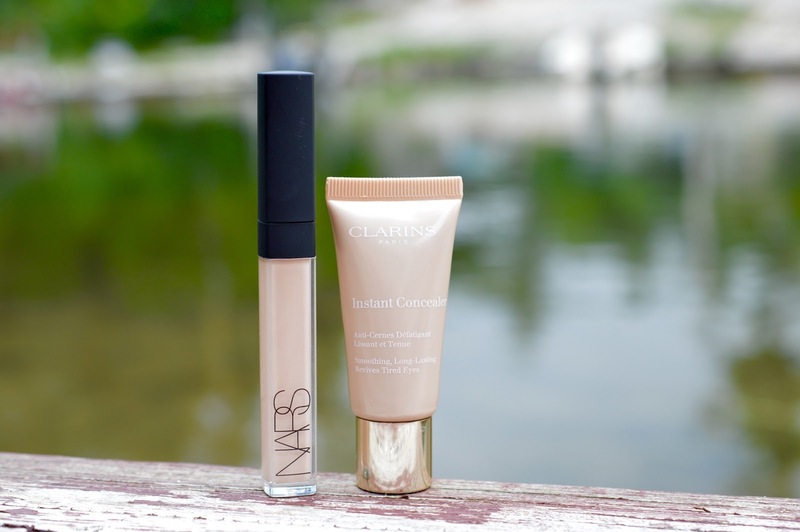 In the end, the Clarins concealer wins! Not only is there a ton of product in the tube, but the colour match is spot on and I love how it wears well all day. Topped with my Laura Mercier powder, the Instant Concealer works as an all-in-one concealer and foundation on the go. Biggest downside? Shade range. 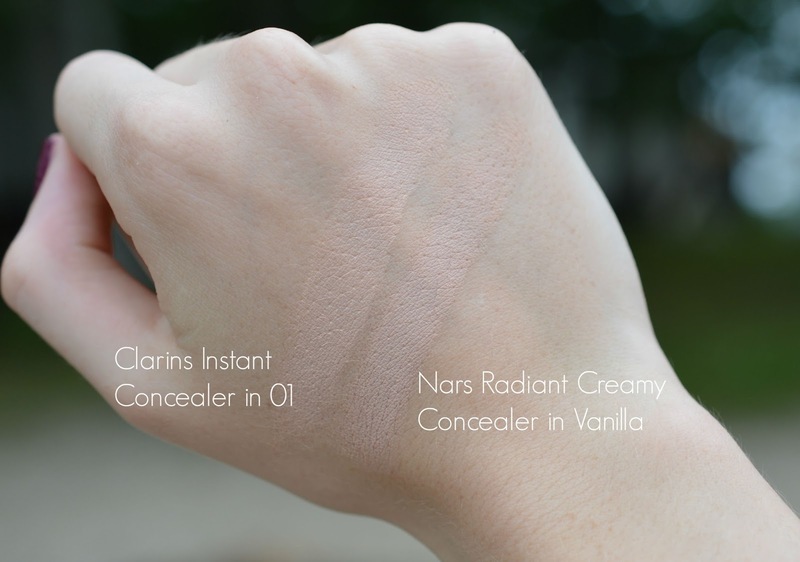 If you find your ideal shade in the Nars Radiant Creamy Concealer range, I'm sure you'll enjoy it. These concealers are definitely high-end, which is why I like to be so critical. 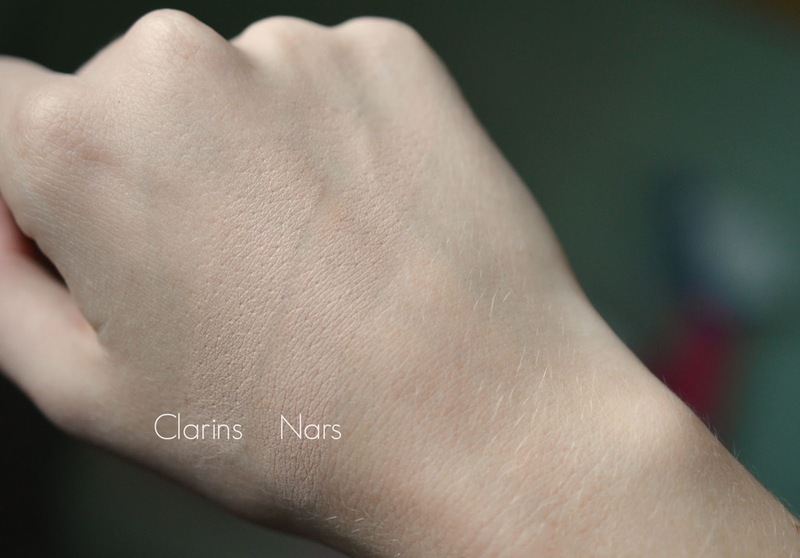 I'm always on the lookout for multi-tasking products that will keep my skin looking healthy, and Clarins surely fits the bill.